Hidden Villages are parts of countries in which the country’s ninja reside. Their leaders stand equally with the landlords ruling the countries they are a part of. A Hidden Village maintains its economy by training its citizens to be ninja from a young age and using them as manpower in various missions others would be willing to pay for, from weeding a garden for a single payment to receiving a constant budget from the country it resides in for being soldiers in case the country is involved in a war. 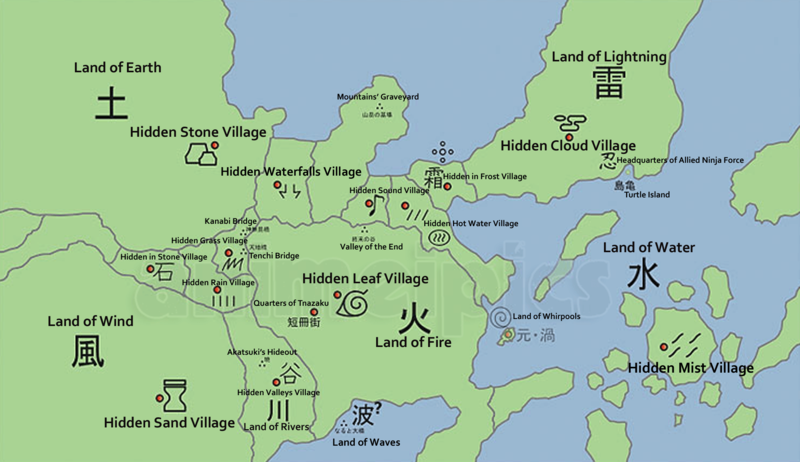 Here you can get all information of Naruto Ninja World Map, Hidden Villages, Countries and other Villages.